It’s also one of the first recipes I returned to over and over. before either of us had a proper kitchen or proper heating. and an extra layer of clothing. Preheat the oven to 180º C/355ºF and lightly butter a large baking dish (like a square 2L Pyrex baking dish). 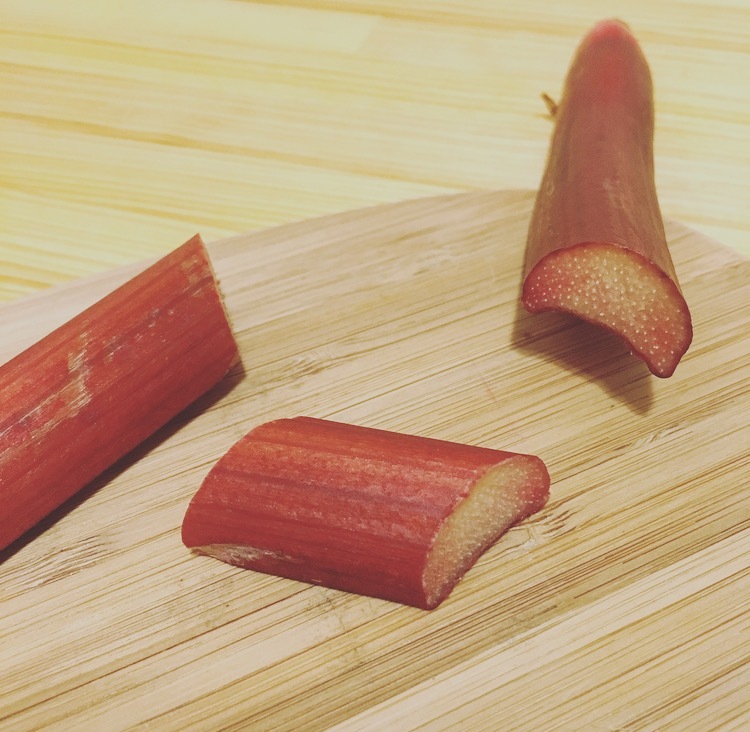 Clean and trim the ends off the rhubarb, then slice it into inch-long chunks. In a medium-sized bowl, toss the rhubarb in the caster sugar, then lay the pieces in a roughly even layer in the bottom of the baking dish. Put the flour, spices and salt in a small bowl, stir with a fork until evenly mixed/lump-free, and set aside. In the bowl of your stand mixer, cream together the butter and brown sugar (about 3 minutes). Still mixing, add in the golden syrup* and the egg, and mix until incorporated. Mixing on the slowest speed, gradually add the flour mixture and mix until full incorporated. In a small saucepan, heat the milk and baking soda together — stirring constantly — until the baking soda is dissolved. 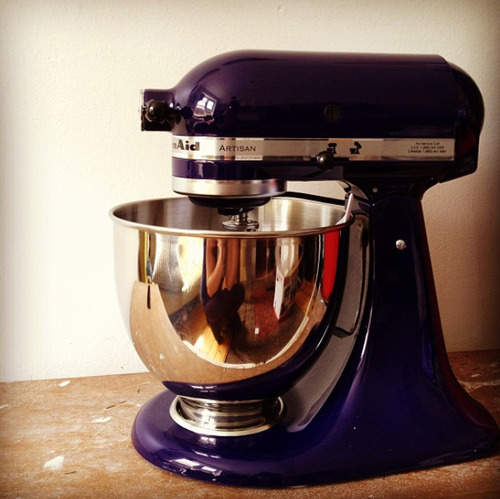 Go back to your stand mixer! Pour the milk/soda mixture into the batter, and mix (on a slow speed) until it’s fully incorporated. Spoon the batter over the rhubarb, using a spatula to smooth out the surface so there are no rhubarb pieces poking through. Bake for about 35 minutes, or until the surface is deep golden brown and a skewer poked into the pudding layer comes out clean/not gloopy. While it’s still (very) warm, spoon huge crusty-topped, jammy-bottomed portions into serving bowls, and top with vanilla ice-cream and/or (okay, AND) custard. *Don’t skip this — according to my grandma, it stops the rhubarb making your teeth feel fuzzy! **Two tips to make sure the golden syrup flows freely out of the measuring cup: 1) stand the container in a bowl of hot water before you pour it out into the measuring cup; 2) while the syrup is softening, pour a little vegetable oil into the measuring cup and swirl it around to get an even coating — when you pour the syrup in, it will just slip right out again. Bonus throwback: In this photo — circa. 2008 — I’m eating the last morsels of one rhubarb gingerbread sponge pudding… so The Fury and I could use the dish to bake another batch. I’m not lying when I say we baked this a lot. Share it, save it, pin it, print it.